Around 26,910 square feet of floating solar panels could provide clean energy for the Netherlands. Six Dutch companies and institutions are developing the offshore solar plant, Project Solar-at-Sea, devised by Oceans of Energy. The pilot will have $1.48 million in government funding, Reuters reported. Utrecht University will conduct research – as the solar modules are expected to offer a power yield 15 percent greater than they would on land. Could an offshore solar farm provide renewable energy the Netherlands needs? Six Dutch organizations plan to find out. A pilot project of around 323 square feet of solar panels could be in place this summer, around nine miles from The Hague in the North Sea Farm, a testing zone, to scrutinize equipment, energy output, weather conditions, and the impact on the environment. There are significant challenges in an offshore solar project. Utrecht University solar power expert Wilfried van Sark said in the university’s press release that sometimes the solar panels will be underwater – “when the waves reach heights of ten meters, this is unavoidable. The panels will wobble a bit, too. 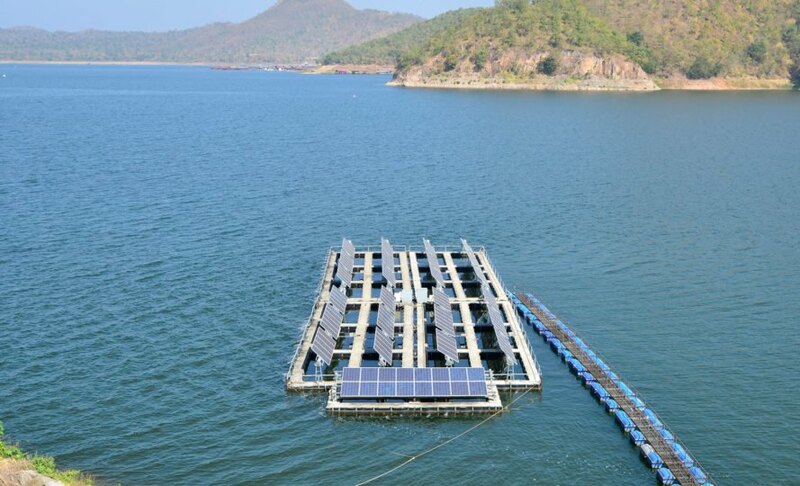 The impact of those dynamic shifts in tilt angle hasn’t yet been studied, either.” Floating solar farms can be found on lakes around the world, but ones at sea are much rarer. But there are also benefits to operating a solar farm on the waves. Van Sark said seawater offers a cooling effect, so the yield of the solar panels is anticipated to be higher than on the ground. Oceans of Energy pointed out in their press release a solar farm at sea doesn’t use up valuable land space. Maritime Research Institute Netherlands (MARIN), Energy Research Center of the Netherlands (ECN), Netherlands Organization for Applied Scientific Research (TNO), and TAQA Energy are also part of the consortium. The team hopes to operate 26,910-square-feet of solar panels by 2021. Inhabitat reached out to Oceans of Energy for project images but they are still confidential; we hope to see them when the pilot project kicks off. A consortium of six Dutch companies and institutions is pioneering a floating solar farm in the North Sea. Floating solar farms can be found on lakes, but ones at sea are much rarer. Oceans of Energy is behind the Solar-at-Sea project in the Netherlands.